I had meant to do this post some time, but never thought that I would be writing it as a posthumous tribute to an actor who has provided me with many hours of entertainment. Today, 14th August 2011, is truly the end of an era. While Shammi Kapoor may never have attained the heights of the ruling troika (Dilip Kumar, Dev Anand, Raj Kapoor) his second arrival with Nasir Hussain's Tumsa Nahin Dekha was a whirlwind of fresh air. The 'mustachioed sissy' as Nasir Hussain referred to him, had gone, and in his place stood a clean-cut, clean-shaven boyish man. He strode the screen like a colossus, and to mark his affinity for music, often had an instrument with him. He serenaded his women, not with quiet love songs (though there were some notable exceptions) but with a boisterous outpouring of emotion. He wooed them with action, not with love letters, and persisted in the face of their expressed disapproval, until they melted in his arms. He was the enfant terrible of the Indian screen, the hero who sat in on the recordings of his songs, who imbued the choreography of his songs with his own inimitable style, whose flamboyance and deep love for life could never be matched. But he clearly had fun, and in doing so, he ensured that we had fun too - one could hardly be morose watching Shammi Kapoor. Today, he is no more, and the world will never quite be the same again for people who have loved him onscreen and off. And so, here is hoping that he is still up there somewhere, serenading Geeta Bali, and laughing at all of us, because Shammi Kapoor was always laughing.These are some of my favourite Shammi Kapoor performances from amongst his films. 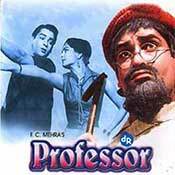 As I wrote in my longer review of the film, Professor Khanna is one of Shammi Kapoor's most restrained performances ever. 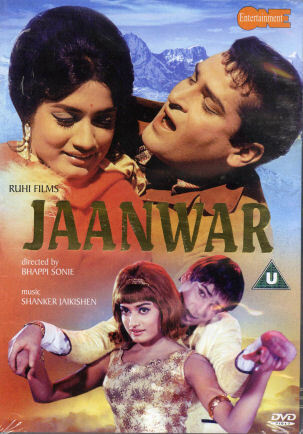 In the role of a young graduate who is forced to masquerade as an older professor in order to get and keep a job, Shammi Kapoor made this film uniquely his. He displayed enough acting chops to distinguish both characters - his Pritam was extroverted, quick to avenge an insult, always ready with a song on his lips. While Professor Khanna was quiet, gentle and slightly intimidated both by the aunt and the aggressive tactics of the two girls. In a film that boasted an excellent music score (which is the rule, not the exception, for a SK film), he even got to sing a song in his Professor avatar, and absolutely rocked it! Shammi Kapoor is Shekhar, newly returned from abroad. He and his sister Mala (Shashikala) have been brought up in a very rigid atmosphere where to laugh is to invite his mother's wrath. Shekhar follows his mother's discipline, but his sister is cut from a different cloth. Her unfortunate love affair with her manager's son sees her being packed off to Kashmir along with her brother. It is in Kashmir that Shekhar's nemesis, in the form of the beautiful Rajkumari, awaits him. After the initial contretemps, they fall in love, and the stern, unhappy man finds that laughing out loud is not such a bad thing after all. Neither is loving and being loved. But how are they going to convince his mother? And what about Mala? Shammi spent the first half of the movie behaving so unlike Shammi that one wondered when the joie de vivre would come back. And Saira Banu made a wonderful debut - she was as snappy as they come. Originally titled Mr Hitler, this was a classic entertainer in the true sense of the term. 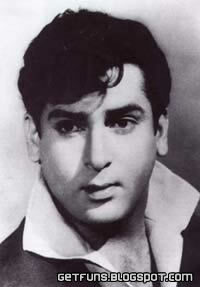 It was a subdued Shammi Kapoor, but an effective appearance, nevertheless. He plays a widowed single father, Ravi. Hema is Sheetal, a single mother, whose marriage to the late Raj (Rajesh Khanna) is unfortunately devoid of witnesses - which prompts Raj's father to disown her. Ravi and Sheetal meet because of their children, and their love affair is also significantly downplayed. The side plot is not there to be milked for laughs - it is an important plot device in its own fashion, and has a place in bringing all the threads together at the end. This was definitely one of his best performances. Shammi is Rajiv Lal, a wealthy businessman, who has just taken over the management of his late father's business. To his mother's and manager's dismay, he announces a bonus for the mill's workers. In order to escape from being married off to a girl, any girl, whose only qualification is that she be from a wealthy family, he runs away to Kashmir. On the road, he meets Champa (Sharmila Tagore in her debut film), who is not very impressed by him. She is even less impressed the next day when she realises he is a rich man. In order to woo her, he pretends to be his own chauffeur. Now this is where Hindi film meets Come September. The man in charge of the family holiday home has been renting it out as a hotel. After the initial umbrage, Rajiv is happy enough to let the pretense go on. It gives him a chance to woo Champa in earnest. Proud and dignified, she keeps him at arm's length, only to give in later. But there is a monkey wrench in the form of Mohan, waiting to be thrown into the works. And a deep dark secret in Champa's life. OP Nayyar's music and the lush Kashmir locales complemented the love story beautifully. 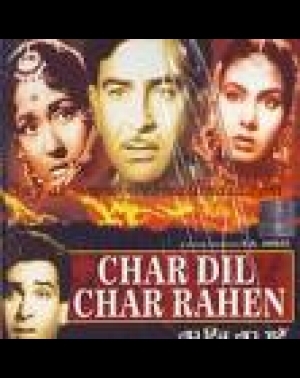 A suspense thriller with Shammi Kapoor in a double role. Great songs. Helen as the second heroine, instead of as a vamp or just a dancer. In fact, with a better role than Shakila. An intelligent script, great songs, and did I mention two Shammis for the price of one? 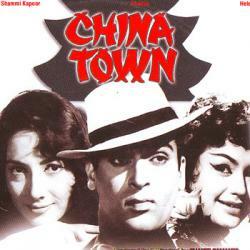 This Shakti Samanta-directed thriller saw Shammi don the roles of Shekhar, the slightly effeminate hotel singer, and Mike, the arrogant opium addict, who is also one of the most wanted gangsters who haunt Calcutta's China Town. Shekhar, who follows his girlfriend Rita (Shakila) to Calcutta, is arrested by the police - Rita's father has filed a report against him. While he is in jail, Mike is being chased by the police, and is injured. The inspector, who notices Shekhar's more than passing resemblance to Mike, offers him his freedom in exchange for his going undercover as Mike. It is not as easy as it looks - Shekhar has to learn Mike's way of talking, his mannerisms, his behaviour... And it is not as simple either. A family secret draws Shekhar deeper into the criminal underbelly of Calcutta. What will happen when Mike recovers, and jumps jail in order to reclaim his life? A musical thriller that brought the Shammi Kapoor-Asha Parekh pair back together after a long gap. With music by RD Burman and directed by Vijay Anand, who specialised in building up suspense, Teesri Manzil was a Hitchcockian roller coaster ride of zaniness. The movie opens with the shot of a girl falling to her death from a hotel balcony. It is widely surmised that she committed suicide because Rocky (Shammi), the hotel drummer did not reciprocate her love. Her sister suspects murder, and her suspicion falls on Rocky. He has managed to keep his identity a secret, appearing before her as Anil. Add a sultry dancer (a woefully underutilised Helen), a suspicious waiter (Rashid Khan), a sulky fiance (Prem Chopra), a friendly neighbourhood businessman (Premnath), and a mysterious man who spends his time walking around in a black overcoat and blowing smoke rings (Iftekhar), throw in a fast-paced script, beautiful locales, foot-tapping music, taut editing - and what you have is an absolute blast from the past. This was a movie that had Shammi being flamboyant and somewhat over-the-top for half the movie, and then suddenly switching tracks and bringing in the seriousness that his character demands. He plays Sunder, the younger son of a wealthy industrialist, Srivastava (Prithviraj kapoor). Mahendra (Rehman) is the older son who, though completely dominated by his opinionated father, has fallen in love with Seema (Shyama), a clerk in his office. Srivastava has grand plans for both his sons - he intends to marry them off to women from the same socio-economic background. Unable to stand up to his father, and ashamed of letting Seema down, Mahendra takes to alcohol. Sunder is a happy-go-chap who has been wooing Sapna (Rajshree), the adopted daughter of his father's accountant. He even co-opts his mother's help to convince his father. Srivastava has, in the meantime, insulted Seema and thrown her out of the house. When he learns of Sunder's love affair, he gives his accountant ten days in which to marry Sapna off. It is a tangled web, and there are misunderstandings galore before the threads separate themselves. But it is an entertaining journey, even if I could have done without Rajendranath and the comic side plot, but one cannot have everything. In a KA Abbas film that is basically three shorts crisscrossing at one point, Shammi's Johnny Braganza is the last (but not the least). He works at Mr Pereira's hotel, and is in love with Stella (Kumkum), whom he meets when the family she is working for stays at the hotel. She is working to earn enough money for her father's treatment. Johnny wants a loan to help Stella out - in return, he joins Mr Pereira's illegal business, much to Stella's dismay. Mr Pereira, who has his eye on Stella too, frames Johnny and he is sent to prison. When he returns, he is shocked to see that Stella is now married to Mr Pereira. Furious at what he sees as a double betrayal, Johnny sets up his own garage, and continues his activities on the wrong side of the law. How will this all end? This is a classic Nasir Hussain film; a love story with great songs, fabulous locales, and sufficient twists to spice up the usual romance. The film begins with a misunderstanding - Harichand and Rana Raghuvir are friends. When Harichand commits suicide leaving behind a note accusing Rana's wife Yamuna (Sulochana) of having an affair with him, Rana is devastated. He leaves her, and takes their son Roop with him. Years later, Roop joins his mother's hotel as a drummer. Neither mother nor son know the truth at this point. He is also wooing Nita (Asha Parekh), the daughter of Yamuna's old friend. By this time, another Roop has shown up staking his claim as Yamuna's son. And is Harichand really dead? This was Shammi at the top of his career - and his second collaboration with Nasir Hussain who gave him his first hit in Tumsa Nahin Dekha. 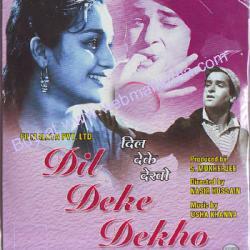 The movie also saw the debut of Usha Khanna as music director. Shammi at his restrained best. He plays a bachelor (and calls himself Brahmachari) who has opened heart and hearth to a multitude of orphaned kids. He tries to manage on what he earns as a freelance photographer. Once, on an assignment, he photographs a young woman, Sheetal (Rajshree), who is on the verge of committing suicide. Soon, she is added to the menagerie, and is soon a hot favourite with the kids. Her story is that of many other girls - she came to the city in search of her lost love, Ravi (Pran); when she finds him, he scorns her love, and she cannot think of going back to her village. Brahmachari agrees to help her for a consideration, and soon is playing Pygmalion to her Galatea. And Ravi is entranced. Having achieved her goal, Sheetal soon finds that she is not as happy as she thought she would be. Will Ravi let go of her so easily, though? And what is going to happen to the kids? This was a heartwarming tale with just the right mix of masala to give it an edge. Great characterisations, enchanting music (Shammi's favourite Shankar-Jaikishen), excellent acting all around - and a handkerchief (or a box of tissues) is a must. It's journey's end, but Shammi Kapoor will live on, in people's memories, in the characters he brought to life on screen, in a lifestyle that managed to be larger-than-life, in the charm he brought to his personal interactions. I cherish the one time I met him (too short a time), when I begged my editor to let me be the one to deliver the tickets to our show to his home. It has always been a cherished memory, and now it is one I hold even closer to my heart. *Edited to add this link to a heartfelt tribute to his father by Shammi Kapoor's son, Aditya (Mickey) Kapoor. Yes, here's to Shammi Kapoor! Sorely missed, ever loved... there was and is no-one like him. I've seen so many Shammi Kapoor wannabes (weren't Biswajit, Joy Mukherjee, Feroze Khan and a few others trying pretty obviously to pull off another Shammi Kapoor in some of their films? But they never quite managed it). Lovely post, too, Anu - and a great list of films. And thank you for that trivia about the original name of Junglee - I hadn't known that! They were indeed, Madhu. And I think they assumed that the same type of story, and Mohammed Rafi singing for them (and he did sing some lovely songs!) would be enough to make them the next SK. What they did not take into account was Shammi Kapoor's personality that added that extra something to the songs - you knew at once when Rafisaab was singing a Shammi Kapoor song. With the others, if you took Rafisaab away, then I doubt many of them would have had the hits they did. He was instrumental in many of them becoming 'stars'. That trivia about Junglee's original name, I heard from the horse's mouth - in his programme called 'Shammi Kapoor Unplugged'. If you haven't seen them yet, then look for them on YouTube. I think the Rajshri site has all of them - it is really cute, his reminiscences. Anuradha, what a wonderful post. When I heard the news yesterday, I immediately thought about you and your absolute love for Shammi Kapoor and his films. I knew you would write about him; and I wasn't disappointed. I agree totally that his death marks the end of an era. It is like the fun has gone out of our lives. Now I am off to re-watch Dil Deke Dekho, and Rajkumar, and Professor and as many Shammi Kapoor films I can get my hands on. Anuradha, I came around to check your blog as I do once in a while, and was greeted by your post on Shammi Kapoor - he is my mother's favorite actor, and I have liked the few movies of his that I have seen. I think I am beginning to understand the attraction. Thank you for a heartfelt post - I am sharing it with my mother who has been very sad since she heard the news. Thank you. I know how you must feel too. I am on a Shammi-film-fest-too. I even liked him in his grandfather roles, you know. Thank you for sharing my blog with your mother. There are so many of us Shammi Kapoor fans out there who are feeling as desolate as your mother does. I hope she takes comfort, as so many of us are doing, in watching his movies again. Come on, you need to do a post on Dev Anand in 'The Greats'. Not just his songs, but some of his best performances. He really does deserve it! And of this lot, my personal liking is for Kashmir ki Kali - I could sit and watch Sharmila for hours. You know, you don't deserve to have a post on Dev Anand! :)) I mean, you come here to Shammi-fan-land, and insult him? I mean, I can watch Sharmila too, but to *not* like Shammi? How could you? Excellent list. I guess I would have included Pagla Kahin Ka in the list somewhere. Its one of his best role methinks. 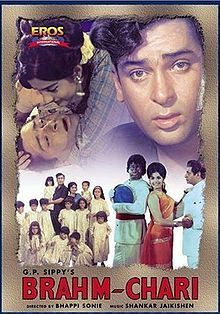 I didn't like Pagla Kahin Ka when I first saw it ( a long time ago) but now, you are the second person recently to tell me it's a good film - maybe it is time I revisited it. Thanks for the recommendation.